Improve the relationships you have. Create the relationships you want. Help your clients achieve the happiness they deserve. 20hours of pertinent information, exercises, meditations and practical applications. The “Intuitive Skills for Relationships Workbook.” Follow along in the workbook as you listen to the CDs. 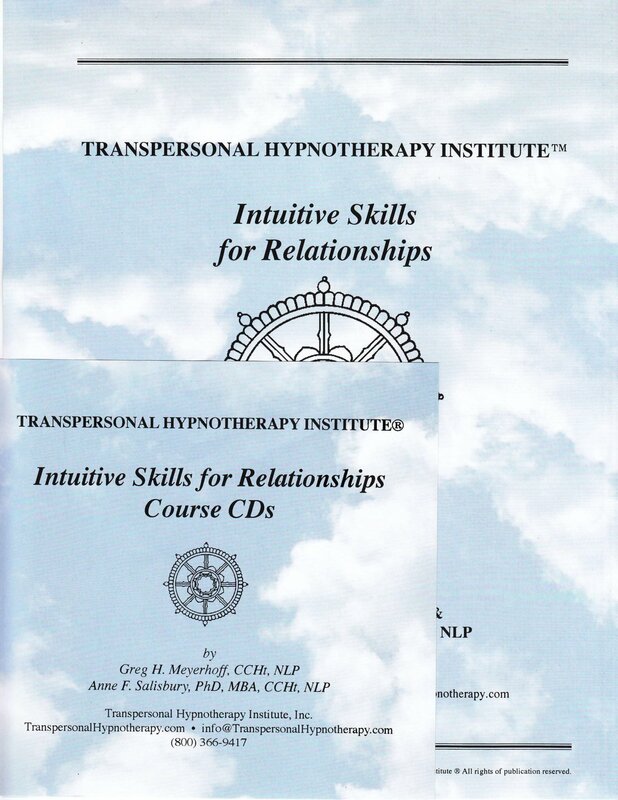 The “Intuitive Skills for Relationships” certificate of completion suitable for framing. Types of Relationships, The Common Denominator, Clean Out Meditation, Create Awareness Space, Filters, Bring Awareness to Unconscious Material, Filters as Screens on the World, Where Filters Come From, Filters Meditation, Peeling Layers of Filters. Moving Energy Out of Filters, Filters from Parents Demonstration and Discussion, Clean Out and Fill In Meditation. Review of Class One, Clean Out Meditation, Filters from Significant Others Demo #1, Demo #2. Filters from Significant Others Discussion, Review, Space Demonstration and Discussion. Review of Class Two, Know What You Want, Clean Out Meditation, Reading Screen Meditation and Discussion, Wants in Relationships Demonstration. Wants in Relationships Discussion, Removing Blockages Demonstration and Discussion. Cords and Genetic Patterns, Clean Out and Reading Screen Meditation, Removing Cords Demonstration, Discussion, Tips for Removing Cords. Identify Genetic Patterns, Genetic Patterns Demonstration, Review and Discussion.